Printed circuit boards have revolutionized the electronics industry which significantly reduce the component size and overall product size. PCB manufacturing has become cheap and effective, but it is still a complex process involving various machineries and toxic chemical that cause severe environment pollution like PCB water pollution. PCB manufacturing process use water to mix chemicals from the beginning, and clean the surface directly by water or other chemicals blended with water. The copper clad is cleaned to remove oils and other chemical on its surface by diluting with water and discarding them. The removed contaminants contain highly complex hydrocarbon residues from glass fiber production and heavy metals like lead and mercury. The wastewater from the above process can not be reused, thus more fresh water is required. The surface of the copper is etched by using ammonium persulfate, ferrous chloride and other etching solutions. The solution is prepared by mixing the water-free material with water. The natural form of copper is highly toxic. So with all materials mixed together, PCB water pollution is a huge environmental problem. 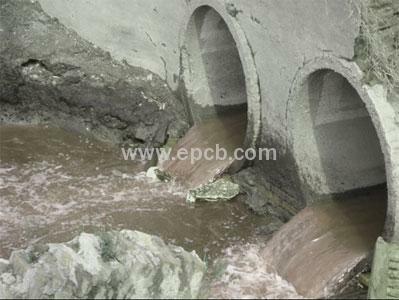 Dumping these PCB-contaminated water into the natural water directly leads to a series of pollution problems. In addition to PCB fabrication processes, raw material production processes like clad board forming, flux production and dry film production consume a lot of water. Since these production process uses heavy metals and toxic chemicals which absolutely cause PCB water pollution to an extent where the filtration process is almost impossible.